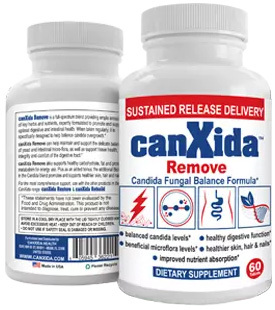 Is the Candida Crusher Diet The Only Solution? - YeastInfection.Org by Eric Bakker N.D.
You are here: Home / Diet And Yeast Infection / Is the Candida Crusher Diet The Only Solution? Do you need to drink alcohol several times a week to give you an escape from reality? Perhaps you require numerous mugs of caffeine a day to provide you with a boost, or depend on a typical chocolate bar? These are some of the addictive patterns I see which may lead you into a path of a reliance of uppers like caffeine and downers like alcohol, or even just those high carb foods in general that so many people love to eat day in and day out. Your appetite may become disordered, your eating patterns erratic and before you know it you could easily develop a digestive problem. Some last resort patients may take 10, 20 or even 40 different dietary supplements in the belief they will conquer the bad symptoms inside, there will be a lot more on that topic in future articles. And then candida comes along as an opportunistic infection and you develop a yeast infection and poor digestive health. And then you are off to visit the doctor looking for a solution that will generally come in the form of a five-minute visit and an antibiotic or an antidepressant. Problem solved, you think – but wait a minute, that’s when the fun begins. You keep the underlying dietary and lifestyle patterns going but now compound your addictions and compulsions with pharmaceutical drugs to conveniently switch off the problems. And you begin to feel worse, another trip to the doctor or naturopath and yet another drug or dietary supplement. And when you practitioner is finally sick and tired of you complaining about being sick and tired, you may be labeled as a difficult or non-compliant patient. I had enough of working in medical clinics after more than ten years. That’s when I decided to once again set up my own clinic and work with chronically unwell patients who had enough of being bounced around, hopping from one doctor to another. To be honest, I really don’t care if I upset a few people here or there. I have lost a few patients over the years but I have had good results with many seemingly hopeless cases which were long ago discarded by practitioners who go onto easier pickings, or what one doctor friend called the “low-hanging fruit.” You can’t achieve quality in a brief ten-minute consultation, and the more challenging patients require much more time, valuable time a medical professional simply hasn’t got. The apples at the very top of an apple tree are the last resort patients. They are much more difficult to pick and win over than the apples at the bottom of the tree, and are probably the best apples when you finally can reach them. There is a risk of falling if you do try to reach out to them, but you get to be a skilled apple-picker after a while; and by falling I mean offending them with more direct talk, or potential strong aggravations they may receive during treatment, etc. These are often the last resort patients who end up in my clinic. I have been known to be straight up with patients with addictive behaviors, there is no point beating around the bush. “Do you want to get well?” I ask them. I have often thought about calling my clinic The Last Resort because that is what some patients tell us as naturopaths: “You are my last resort”. Many naturopathic doctors will have heard these very words, and the longer they practice and the more experience they gain, the more chronic and complex cases they tend to see. It is for these naturopaths that I have developed the Candida Crusher concept as well, for those who see the last resort patients. Some patients I have seen love being in the Last Resort Hotel. It almost suits a purpose of staying unwell, a kind of self-sabotage. Like the 27-year old patient I had who was abused as a girl and now feels comfortable at 220 pounds to avoid an intimate relationship. Like the 48-year-old work at home mother who goes to her refrigerator for ice cream a few times a day and has peanut butter sandwiches for lunch. “I can’t be bothered, I’ve been with my man for twelve years and we have kind of drifted apart. He does his thing and I do mine”. Yet another person who feels like she is permanently checked into the Last Resort Hotel. The crazy thing is you can check out of the Last Resort Hotel any time you like, and you can always leave. It’s your decision, and if you come to my clinic you will get your wake-up call, but a nice one though, unless you eat the chocolate from the mini-bar! The Candida Crusher Program contains many tricks and tips on how you can avoid becoming a last resort patient, and if you have living in this establishment, how you can check out for good.